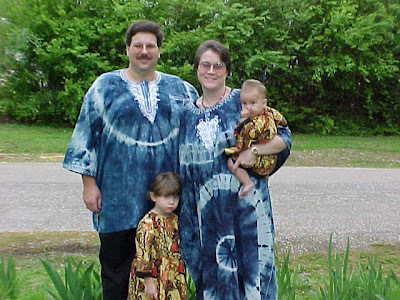 After we lived in Guinea, we were given the opportunity to change our ministry focus. It would entail our studying French in Dakar, Senegal. So, we crated up our stuff and sent it to the Ivory Coast, while we packed suitcases and headed for Senegal. We studied French for 10 months or so and became "functional". I hesitate to call it fluent; that came after much more time in the language, living in the Ivory Coast. Les Almadies Restaurant on the most western tip of Africa. The lighthouse and the view from it! Cool weather in January! What a relief! Car rapides - ok, not that I ever want to ride on one, but it was always fun to see how many people were hanging off the back! Gorée Island - full of such history and heartache - but a trip back into time! Chep-bu-yap (Fat Rice with beef). Our house helper, Helen, taught Sally how to make it! YUMM!! Saly was a wonderful place to go! While we were only there for a short time, Senegal will hold a special place in our hearts. The folks there treated us like family, even though they knew we'd only be there a short time. The Senegalese folks that we got to know were wonderful. I'd have no problem going back to Dakar! ... Which reminds me, Have you seen Mall Cop?